Two leading global gaming brands PokerStars and World Poker Tour® have joined forces to create the PokerStars Championship WPT MonteDam Swing™. It is the first event of its kind in Europe, beginning with PokerStars Championship presented by Monte-Carlo Casino® currently taking place and concluding with WPT® Amsterdam (May 5-13). Players can enjoy 80 events across two great poker locales and can win prizes by cashing in qualifying events of both stops. Players who play in at least one event in both locations will receive an online ticket to take part in a $30,000 PokerStars freeroll. Players entering both Main Events will be awarded a $300 voucher towards buy-ins for the PokerStars Spring Championship of Online Poker (SCOOP). This year’s Spring Championship of Online Poker (SCOOP) is just around the corner, commencing on April 30 and carries PokerStars’ biggest ever-online series guarantee of $55 million. SCOOP has teamed up with PokerStars Makes Millionaires to guarantee that two players will walk away from the series as millionaires. The first week of the series (April 30 – May 6) is dedicated to Event 01, the Phase Event. On these days, players will have the opportunity to earn their entry into 01-H Phase 2, which guarantees $1 million for the winner. The other event with a $1 million first-place prize that all players should be aiming for is the Main Event 55-H on May 21. Brazilian poker player ‘Drudz777’ took down the PokerStars Sunday Million beating 5,129 players to the top prize of $133,595.11. The total prize pool was a guarantee–beating $1,025,800. The PokerStars All Star cash game series is well under way with 19,627 hands already played over the first two weeks. Two weeks remain with players battling at rake-free $10/$20 tables for glory, cash and their slice of a $100,000 leader board. Team PokerStars Pro Daniel Negreanu has posted a hand history review on Twitch looking at some of the more interesting hands in the All Stars series. Read more about the series and Daniel’s stream on the PokerStars Blog. The next review will be streamed this Saturday at 21:00 BST from the PokerStars Championship presented by Monte Carlo Casino®. From May 5-7, the second PokerStars MEGASTACK London will take place at PokerStars LIVE at The Hippodrome Casino in the heart of London's West End. The £170 PokerStars MEGASTACK London Series will feature a 50,000-starting stack. Episode number of this week’s Poker in the Ears podcast, which is now available to stream or download. This week, James and Joe prepare for their trip to PokerStars Championship presented by Monte Carlo Casino® and Sam Warren takes on Stapes in an ‘Entourage’ special of Superfan vs Stapes. Number of days until PokerStars Championship Sochi takes place. From May 20-31, players can expect an excellent event in an exciting location, a range of tournaments and formats tailored to suit players of all levels and a schedule featuring must-play events such as the RUB 66,000 (approx. $1,160) PokerStars National Championship and the RUB 150,000,000 guaranteed PokerStars Championship Main Event. This Sunday there will be two mega satellites running on PokerStars - available to Russian and CIS players - there will be 20 packages (worth $6,000 each) guaranteed to the PokerStars Championship Main Event at 12:30 ET and 50 (seat + expenses) to the National Championship Sochi running at 14:15 ET. Players can satellite into the Main Event and National Championship through a range of satellites currently running at PokerStars. Nine years on from his San Remo win Team PokerStars Pro Jason Mercier talks to PokerStars Blog about the hand that launched his career; and explains if he could go back he probably would not play it! 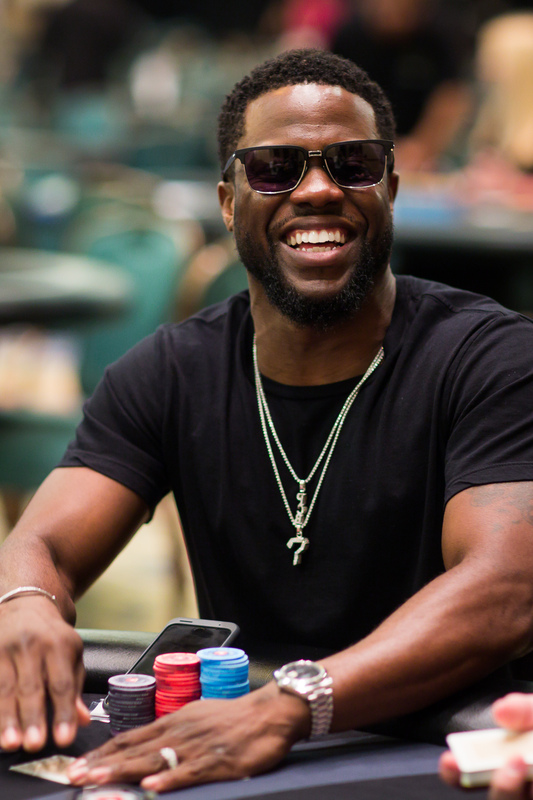 Hollywood star and avid poker player Kevin Hart will once again play in a PokerStars Championship Super High Roller… and this time, he is out for revenge! Kevin laughs: “I let these guys off easy in The Bahamas. Now I’m coming to Monaco to win it and laughing all the way!” PokerStars Championship presented by Monte Carlo Casino® kicked off on April 25 and will run until May 5 with 71 tournaments and a wide range of activities away from the felt - all in the historic Monte Carlo on the beautiful French Riviera. PokerStars Team Online member Felix Schneiders in sheer disbelief as a three-way all-in turned into a millionaire-dollar heads-up final in the PokerStars Millionaire Grand Final.